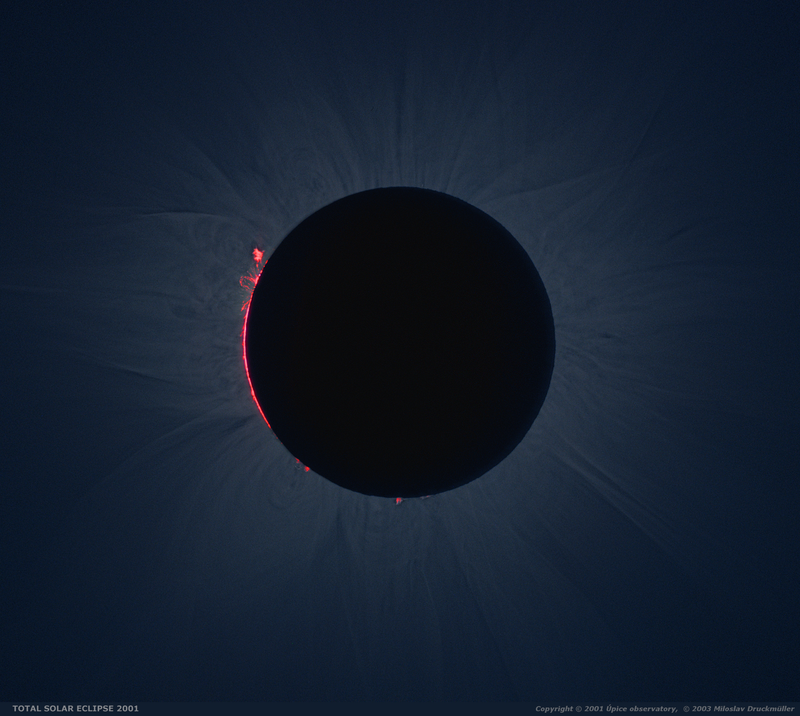 Even if the chromosphere and the prominences are not as bright (in visible light) as the solar photosphere is they are still bright enough to be impossible to obtain good image of the chromosphere, the prominences and the inner corona in a single film frame. On the contrary human vision manages easily this task. Again it is necessary to combine several images taken with various expositions. 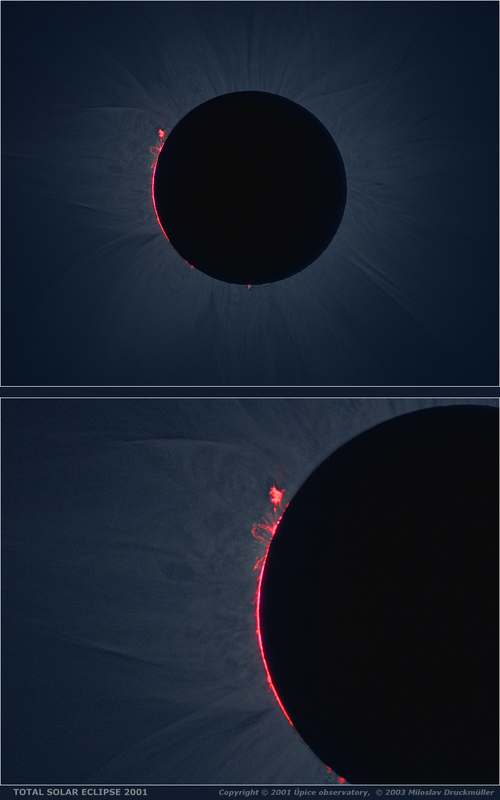 One image of the chromosphere and the prominences taken shortly after the second contact was composed with eight images sum processed by means of adaptive kernel convolution using Corona 2.0 software. Click on the image or on the following reference to display the higher resolution image version (5.0 MB, PNG format).